Cooling capacity range: 75kW to 650kW with advanced hardware, software and remote monitoring. Venus Systems has developed, tested and patented a high-efficiency oil-free compressor for use in commercial air-conditioning and refrigeration. Product addresses the major drivers for industry and produces significant end-user benefits in an addressable market worth over two billion pounds. Produces a payback of less than 12 months with installations that last typically 15 years or longer. 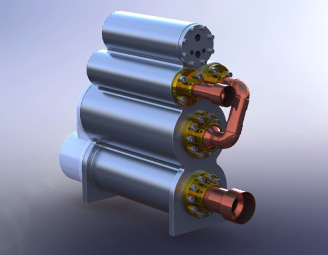 Venus Systems has developed and patented a novel high-efficiency oil-free compressor for use in commercial / industrial air-conditioning and high temperature refrigeration systems. The compressor addresses the major drivers for industry and produces significant end-user benefits including pay-backs of less than 12 months on installations typically lasting over 15 years. Venus Systems was founded in 2010 and head office is in Guernsey. - Gareth started his career in the City of London for a large Investment House, before successfully setting up two chains of catering establishments in Guernsey, both of which were subsequently sold. 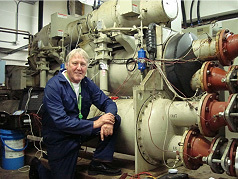 Mike is one of the UK's most highly regarded air conditioning and refrigeration specialists, winning many awards for his environmental pioneering achievements. Adaptable to new refrigerants, the Venus compressor negates the need to develop new and expensive lubricants.